Participants received valuable leadership training during the 10-week program and topics of disccusion included: Leadership - How it Afficts State/Local Government; Educaiton; Local Cultural Opportunities; Local Quality of Life Issues; Economic Development; Existing Industry and Deversification; Hostory of the Local Area and Demographic Changes; and Issues Afficting the Future of Martinsville and Henry County. The Chamber's Leadership Development Program was developed to increase the number of effective local leaders having sound understanding of broad community facts and issues. Dr. Leanna Blevins, Executive Director of the New College Institute, shared timely remarks with the graduates and their guests and encouraged them to consider the choices they will make from this point forward and the positive impact they, through their leadership, can have on the community. Graduates from this year's Leadership Development program are: Gerald Boadu, Arconic; Lane Clark, Martinsville City Police Department; Amy Delancey, American National Bank; Bobbie Dillon, Virginia Museum of Natural History; Machael Farley, M-HC Coalition for Health and Wellness; Lisa Frick, United Way of HCM; Dominique Hylton, Burton & Company; Hunter Jennings, MHC SPCA; Susan McCulloch, City of Martinsville; Caleb Moore, Carter Bank & Trust; William Pace, Virginia House of Delegates (Delegate Poindexter); Stacy Peters, New College Foundation; Tonya Rumley, City of Martinsville; Shani Shorter, Virginia House of Delegates (Delegate Adams); and Suzy Williams, MHC SPCA. Ron Haley, Chairman of the M-HC Chamber of Commerce, said "Graduation from this program is an exciting time, and we look forward to the many wonderful accomplishments from this capable group of leaders." Kerry Walker of Berry-Elliott Realtors has chaired the Leaderhip Development Program for nineteen years and graduated from the program in 1999. 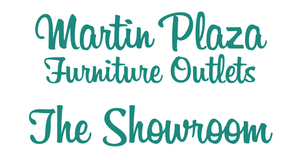 Martin Plaza Furniture Outley sponsored the Leadership Development Program this year. Since the program began almost thirty years ago, the Chamber has had over 750 graduates from its Leadership Devopment Program. The program is offered annually and begins in September with a kickoff session at the Martinsville Speedway. 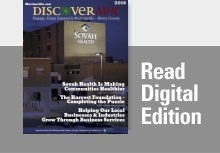 Please contact the Martinsville-Henry County Chamber of Commerce to obtain additional information about this program at 276/632-6401 or mhccoc@mhcchamber.com.